Kelvinator 1 glass door cooler, model KCGM24R. 24 cubic feet capacity, 28" W x 33 5/16" D x 79" H (with included leveling legs). 115 volts, includes 4 vinyl coated heavy-duty adjustable shelves. 3 year mfg warranty, additional 2 years on the compressor. Ask for a shipping quote. Kelvinator 2 sliding glass door cooler, model KCGM47R. 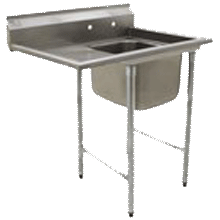 47 cubic feet capacity, 53" W x 30 11/16" D x 83" H (with included casters). 115 volts, includes 8 vinyl coated heavy-duty adjustable shelves. 3 year mfg warranty, additional 2 years on the compressor. Ask for a shipping quote. Master-Bilt 1 Door Glass Cooler, model MBGR26H. 24 cubic feet, 28 1/2" wide x 79" tall x 33 1/4" deep. 115 volts, includes 4 shelves. 3 year mfg warranty, additional 2 years on the compressor. Ask for a shipping quote. Master-Bilt 2 Glass Door cooler, model MBGR48S. 2 sliding doors, 48 cubic feet, 53 1/4" wide x 78 3/4" tall x 30 3/4" deep. 115 volts, includes 8 shelves. 3 year mfg warranty, additional 2 years on the compressor. Ask for a shipping quote. Master-Bilt 3 Glass Door Cooler, model MBGR70H. 3 pull doors, 72 cubic feet, 78" wide x 79 1/2" tall x 33" deep. 115 volts, includes 12 shelves. 3 year mfg warranty, additional 2 years on the compressor. Ask for a shipping quote. Spartan 1 Glass Door Merchandiser, model SGM-23RV. 28.5" W x 32" D x 79" H, 23 cubic feet capacity. 120 volts, 1 year mfg warranty (additional 4 years on the compressor). Ask for a shipping quote. 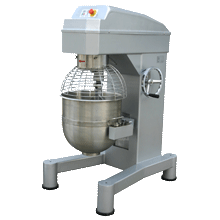 Spartan 1 Glass Door Merchandiser, model SGM-26RS. 26" W x 25.5" D x 84.5" H, 14 cubic feet capacity. 120 volts, 1 year mfg warranty (additional 4 years on the compressor). Ask for a shipping quote. Spartan 2 Swinging Glass Door Merchandiser, model SGM-49RS. 49.25" W x 26.25" D x 84.5" H, 25 cubic feet capacity. 120 volts, 1 year mfg warranty (additional 4 years on the compressor). Ask for a shipping quote. Spartan 2 Sliding Glass Door Merchandiser, model SGM-53R. 53" W x 32" D x 83.75" H, 44.75 cubic feet capacity. 120 volts, 1 year mfg warranty (additional 4 years on the compressor). Ask for a shipping quote. Spartan 3 Swinging Glass Door Merchandiser, model SGM-72RS. 78.25" W x 80.25" D x 80.25" H, 69 cubic feet capacity. 120 volts, 1 year mfg warranty (additional 4 years on the compressor). Ask for a shipping quote.